Summary: How to download music on Samsung Galaxy? You have come to the right place. Please read on to learn the different ways to download songs to Samsung phone with ease. Samsung's built-in Music Player doesn't support to download music online, however, you can download the music to your Samsung phone after downloading music through other third-party software or computer. The Samsung Music Player will automatically add the songs to the playlist without manually setting up when when the music file is added to the mobile phone or the external memory card. Now, let's see how to download songs to Samsung Galaxy together. Tip 1. Download online music before importing to Samsung. You can download songs from some third-party software to computer, such as Galaxy App Store, Google Play Store, Spotify, Amazon Music, NoiseTrade, SoundCloud and more. You can either purchase the copyrighted songs or find some free songs from these platforms to download. Tip 2. Make sure the audio format is supported on your device. Since the supported audio format may be different on different phones, please confirm that the audio format of the music is supported by your Samsung phone before downloading, avoiding that the downloaded songs cannot be listened to normally on your Samsung device. Tip 3. Move the music to the Music folder if they cannot be read. The latest Samsung Music Play supports to automatically read and add new music to the playlist. If your device cannot read the new added songs and the audio format is supported, please transfer the music in the other folders to the Music folder. The best way to download music on Samsung is using the professional Samsung Music Downloader - Android Assistant (Windows/Mac). With it, you can easily download music from computer to Samsung phone with one click. Before transferring, you can also preview and choose the songs you like to import to Samsung device according to the song name, song duration, song size, song format, artist, album and more information. Also, if needed, you can also export music from Samsung to PC or Mac, delete unwanted Samsung music on computer directly. Besides, you can also manage the photos, videos, contacts, apps, call logs, SMS, books and more on Samsung effectively. And the Samsung Music Downloader is fully compatible with almost all Samsung devices, including but not limited to Samsung Galaxy S9+/S9/S8+/S8/S7/S6/S5/S4, Samsung Galaxy Note 9/Note 9 Plus/Note 8/Note 7/Note 6/Note 5/Note 4, Samsung J3/J3 Pro, Samsung Galaxy A9/A8/A7/A5 and etc. Free download the trail version of Samsung Music Downloader on your computer and start to download music to Samsung with ease. Step 1. Make Samsung device detected by the program. 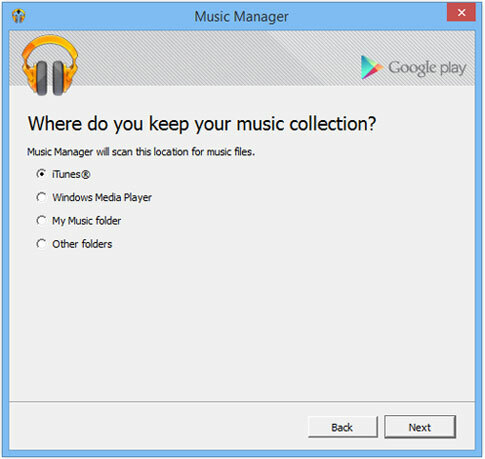 Open the Samsung Music Downloader after installation, and connect your Samsung device to computer with a USB cable, then you might get the interface as below. Simply follow the onscreen guide to enable USB debugging on your Samsung device, then tap "Allow" option on your device, thus your device will be automatically recognized at once. Note: Next time when you connect your device and launch the program, it will automatically identify your device without enabling USB debugging. After recognizing your device, the Samsung Music Downloader will automatically install USB driver on your computer. Please be patient to wait for a little while for that. Step 2. Scan Samsung data and show them on computer. The program will automatically start to scan your phone data after the USB driver is installed. Only a few seconds are needed and you can view your Samsung files on any category on the left panel. In this case, please click "Music" tab on the left to see more details. Step 3. Copy songs from computer to Samsung with one click. To move music from computer to Samsung, please click "New" button on the top, which will open a browser that allows you to choose music from computer. After selection, simply confirm it to start importing songs from computer to Samsung right away. After that, you can click "Refresh" button to refresh the playlist on Samsung Music Downloader for confirmation. By the way, if you need to export music from Samsung to computer, you can tick off one or more songs from the list, then click "Export" button and choose the desired output format to start the transfer process. And if you want to deleted some music, simply check one song or multiple songs from the list and click "Delete" button to remove them from your Samsung device. To transfer songs from computer to Samsung phone, you can also copy and paste songs with USB cable. This way is also very easy. Now, please check the steps as follows to complete the job. Step 1. Plug your Samsung device to computer via a USB cord, making your device detected by the computer. Step 2. Swipe down the Notification bar from the top of your Samsung's screen, then choose to connect as "Media device (MTP)". Step 3. Tap "OK" option when the "Allow" USB debugging" pops up, thus your Samsung phone will be successfully recognized by computer. Instead, you can enable USB debugging mode on Settings as well. Step 4. Make sure the Mobile ADB Driver for your Samsung device is installed successfully on your computer, otherwise you can not manage your Samsung data on computer. Step 5. Locate and choose the songs that you want to import to your Samsung device, then copy them by entering "Ctrl + C" keys on Windows. Step 6. 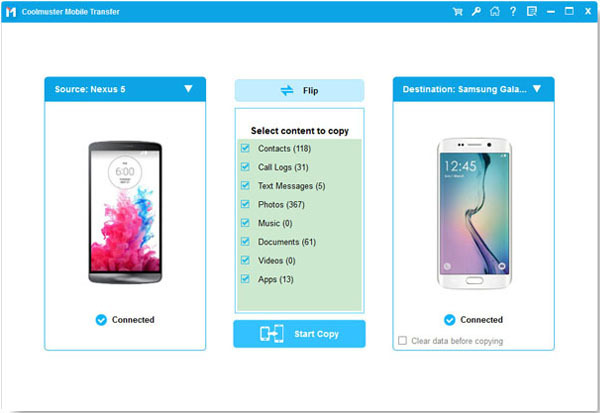 Click your Samsung device on Portable Devices folder on your computer, find and open the Music folder, then paste your copied music files on Samsung phone at once. iTunes allows Apple users to store and share music files among iPhone, iPad or iPod touch. What to do if you have songs you want in iTunes or your friends want to share iTunes music with you? Don't worry, you can also sync iTunes music to Samsung as well. See more detailed on how to transfer iTunes music to Samsung using Google Play Music or Double Twist. Tip: If you have an iCloud backup, you can also transfer iCloud backup to Samsung. There is always some time that you want to transfer music to Samsung from the other device, such as iPhone, iPad, iPod touch, or another Android phone (Samsung, HTC, Sony, Huawei, LG, ZTE, Motorola, OPPO, etc.). If so, you can also make it easily using the Mobile Transfer, which allows you free transfer music and more between any two Android or iOS devices. > Launch the program and connect two devices to computer with 2 USB cables. > Choose "Music" and click "Start Copy" button to start transfer process. If you own a Nokia phone, you can also transfer photos/videos/music from Nokia to Samsung Galaxy.